Communities across South Ayrshire are being invited to find out more about the planned replacement for Queen Margaret Academy (QMA). South Ayrshire Council is to hold a public exhibition, prior to submitting a formal planning application, to discuss the pre-application proposals on Tuesday 13 December. Earlier this year it was announced that QMA would receive part-funding from the 'Schools for the Future' programme. The £25million project will see £8.5million committed from South Ayrshire Council and £16.5million from the Scottish Government. 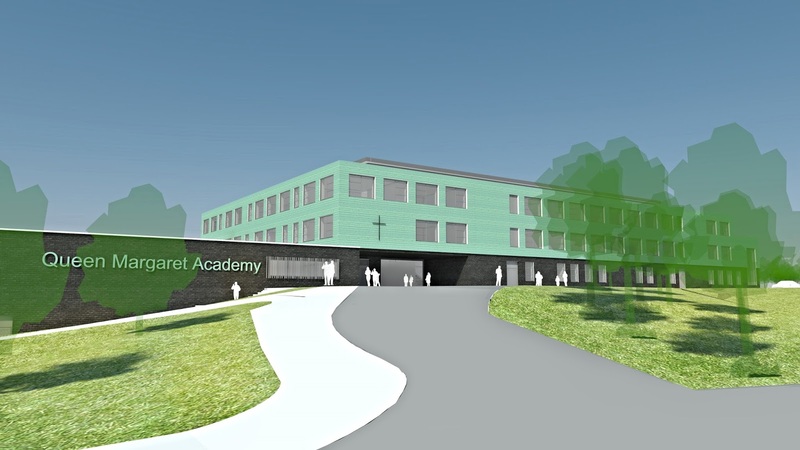 Once completed, QMA will transform facilities for the existing school and the wider community for generations. The Council has been actively engaging with the community to gather their views on the project. In September and October the project team spoke to representatives from the school and the wider area to capture their vision, values, and ideas to ensure their involvement at a key stage in the design process. Children, young people, staff and parents from QMA and its associated primary schools attended workshops along with local community groups. The next stage will see a public exhibition held at Queen Margaret Academy on Tuesday 13 December between 2.00pm – 8pm. Councillor Margaret Toner, South Ayrshire Council’s Portfolio Holder for Lifelong Learning said she expected the event to be well attended, “We’ve been actively listening to the views of our communities in recent months, and this event offers a valuable opportunity to meet with people face-to-face to discuss progress. “While the plans are still at an early stage we will continue discussions on what people would like to see from the new school, and try to incorporate their feedback wherever possible. The exhibition marks is the next stage in the pre-application consultation process. No planning application has been submitted at this time. All comments on the project should be directed to the agent, Building Design Partnership. Comments made to the agent are not representations to South Ayrshire Council as the relevant planning authority. When the Council submits a formal planning application there will be further opportunities to make representations on the application.